Glacial Ridge Health System is hosting a free seminar for area residents with impairments to their speech and large motor skills due to Parkinson’s disease or other neurological disorders. The purpose of the seminar is to provide people with these conditions and their family with information on treatments that are available to help them stay active, both vocally and physically. At the seminar, two Lee Silverman Voice Treatment programs—LSVT LOUD and LSVT BIG—will be discussed. The information is being presented by Brianna Hennen, speech-language pathologist, and Amy Barfknecht, physical therapy assistant from Glacial Ridge Health System. 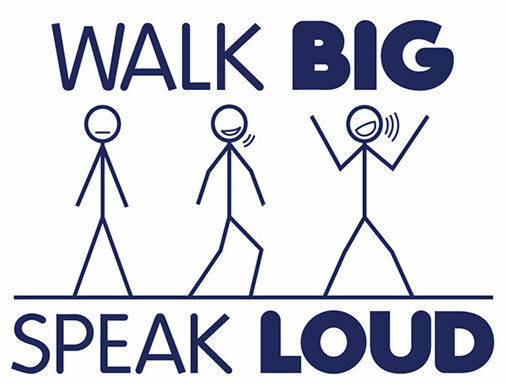 The LSVT LOUD and LSVT BIG programs use intensive speech therapy or physical therapy for people affected by voice and speech deterioration or who need to improve their large motor skills as a result of Parkinson’s or neurological issues. Barfknecht and Hennen have both been specially trained in the LSVT methods. Documented patient results from speech therapy using LSVT LOUD include improved vocal loudness, vocal quality, and the ability to communicate. Results from LSVT BIG physical therapy include faster walking with bigger steps, improved balance, and increased trunk rotation. RSVPs are required by Wednesday, September 26 at 10 a.m. for the informational seminar. To RSVP your place at the lunch and seminar or to learn more, please call (320) 634-2015.